PACK SIZE: The pack is of 60 capsules. ¢¢ Modulates appetite and Improves metabolism. ¢¢ Rich in natural mineral. 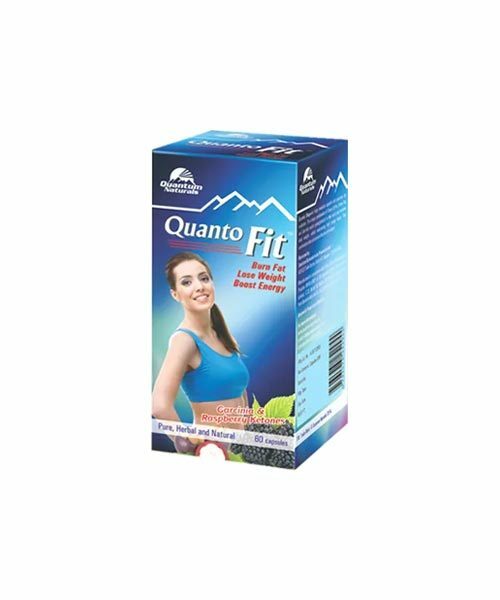 CONTENT: The Quanto Capsule contains Garcinia, Indian raspberry, guggul and Capsicum. USES: It is used to Burn fat, loose weight and boost energy. DOSAGE: 1 Capsule twice daily before meals.